Howard R. Jean | The HBCU Foundation, Inc.
Howard R. Jean is the Principal of SEIL; a boutique education based consulting firm that specializes in collaborating with organizations and institutions to help develop unique and innovate programs to address multi-faceted issues that affect specific communities. SEIL has provided services to various organizations in South Carolina, Texas, North Carolina, Pennsylvania, Georgia, New York, Massachusetts and the DMV. 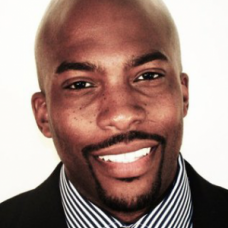 Over the years, Jean has appeared on the Oprah Winfrey Show, Tavis Smiley Radio Show, USA Today, Associated Press Articles, Jet Magazine, Essence Magazine and on the cover of ARETE Magazine and a plethora of online articles for his work in education with minority males and community service. More recently, Jean was featured in Black Enterprise Magazine online as the man of the month where he shares insight on becoming successful in a global society for males of color. Jean has served as Executive Director of the Call Me MISTER program at Cheyney University of Pennsylvania. The MISTER program (Mentors Instructing Students Towards Effective Role Models) is a leadership development program for pre-service teachers designed to encourage and support African American males to dedicate their lives to becoming role models in the field of education. As a product and partner with the program for the past 13 years, Jean created a pilot and complimentary program for women interested in teaching Science Technology Engineering and Mathematics (STEM). The program is entitled Teach STEM Scholarship Project (TS2 Project) and is in its 5th year of programming. In 2012, Jean served as the Executive Director of Communities In Schools of Augusta Richmond County where he participated in decreasing the graduation rates of high school students utilizing “Race To The Top” Funding.